Our pure almond oil is the most popular carrier oil used for facial and body massage, and its excellent emollient properties help the skin to balance water loss and absorption of moisture. It is an excellent emollient (softening and soothing to the skin) and also helps the skin to balance water loss and absorption of moisture. It is further a great moisturizer, suitable for all skin types, helps relieve irritation, inflammation and itching, and is greatly lubricating. Because the oil does not penetrate the skin overly quickly, it is a good massage medium to use to help spread the oil and essential oil mixture, while still allowing you time to do a good massage before it is absorbed by the skin. Not only does almond oil help protect the surface of the skin, but it has great value, acting as an emollient, skin soother and softener, while conditioning the skin and promoting a clear young looking complexion. It also helps to relieve muscular aches and pains. Almond oil is suitable for all skin types, but is especially good for dry or irritated skin. We only use 100% pure almond oil in our product - no other oil or mixes are added. For more information about almond oil, please click here. 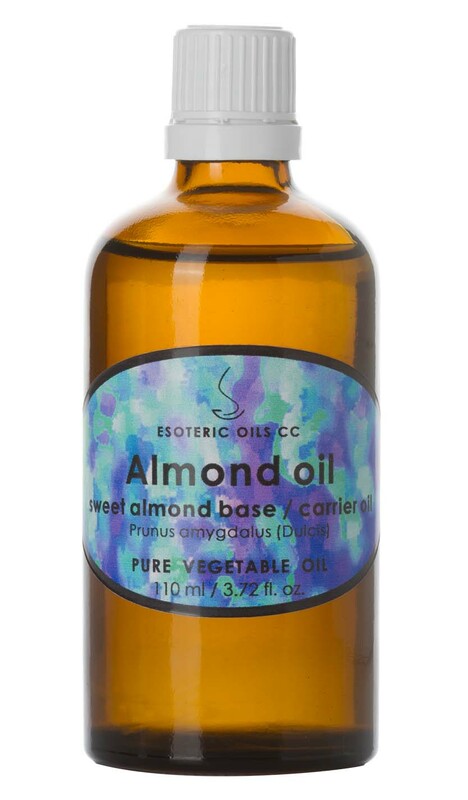 Almond oil can be applied neat to the skin, as it acts as a carrier medium when using essential oils. It is an excellent oil to use for both body and facial massage and helps to increase the health and vitality of the skin. Thank you very much. I have receive your oils and I am really happy with it - the quality is excellent and I will place a repeat order soon. Hello -- just a quick greeting and big smile -- your products are just as great as your website!The quality of all your oils and products are superlative -- thanks for being around. Softens and soothes the skin without clogging the pores. Helps to boost the vitality of the skin. Nourishes the skin and great as a massage medium.